At Comfort Suites Alamo/River Walk stay in the center of the action in one of our spacious downtown San Antonio hotel rooms. Whether you're in town on business, here with the family or simply on a couple's retreat, we have room amenities to add convenience for your comfort. No matter the reason for your visit, there’s a San Antonio Riverwalk accommodation at our hotel that’s perfect for you! Unwind after a busy day of meetings in our King Bed Room or stretch out with the whole family after an exciting day of visiting all the top local attractions in our 2 Queen Bed Rooms! 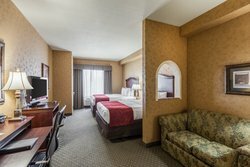 Don’t forget to check out our special hotel deals to find the special package that’s perfect for your next San Antonio trip and book today. Your comfortable San Antonio River Walk accommodations await! Stay with your family or friends in our 2 Queen Beds City View. 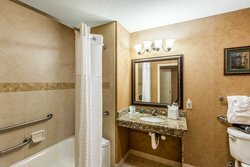 This suite boasts a spectacular view of downtown San Antonio. Designed to let families truly enjoy themselves comfortably, bask in all the wonderful sites that San Antonio has to offer. Stay with your family or friends in our 2 Queen Beds. Designed to let families truly enjoy themselves comfortably, bask in all the wonderful sites that San Antonio has to offer. 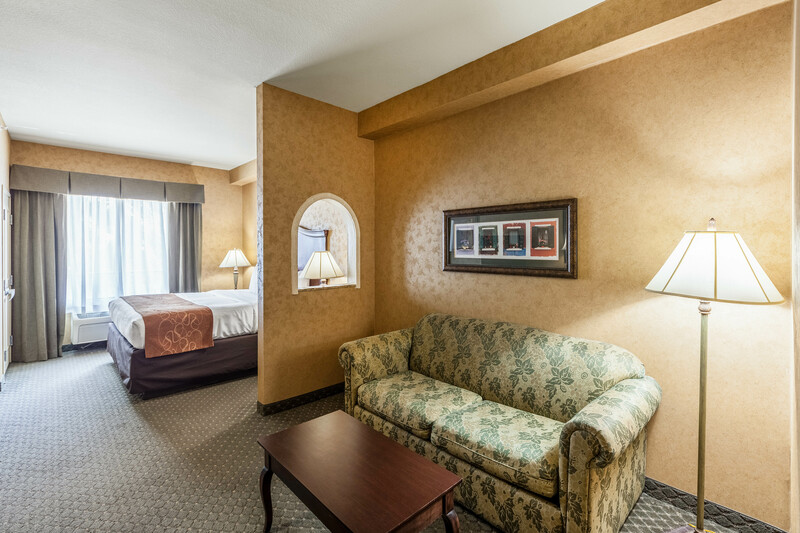 Relax in the pure comfort of the King Bed City View. 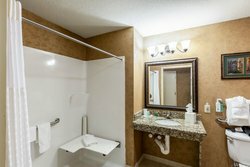 This suite is designed to let couples and business travelers truly enjoy themselves and to get any necessary work done in an unbelievably comfortable environment. Whether you're taking a break from the convention center or visiting all the wonderful sites that San Antonio has to offer, do it with a city view! Relax in the pure comfort of the King Bed. 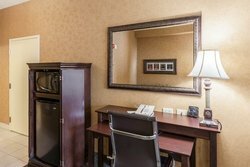 This suite is designed to let couples and business travelers truly enjoy themselves and to get any necessary work done in an unbelievably comfortable environment. 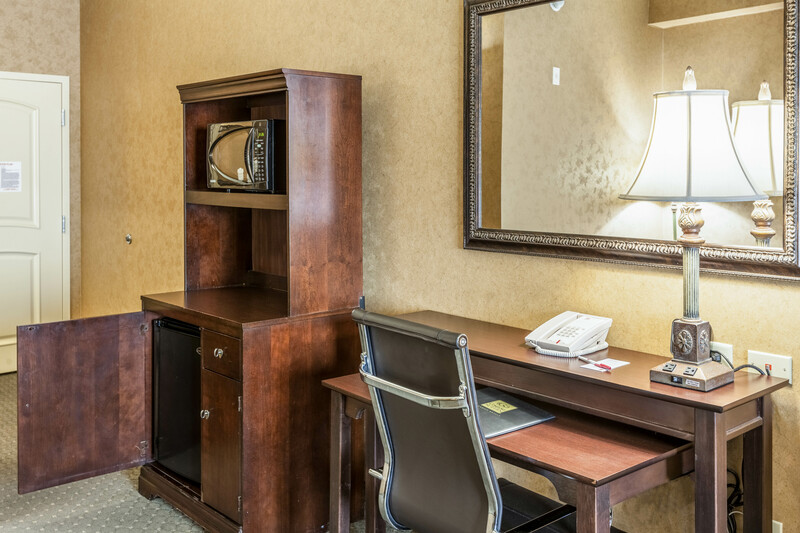 Whether you're taking a break from the convention center or visiting all the wonderful sites that San Antonio has to offer, do it with the great amenities Comfort Suites has to offer! Stay with your family or friends in our 2 Queen Beds City View (Accessible). This suite boasts a spectacular view of downtown San Antonio. Designed to let families truly enjoy themselves comfortably, bask in all the wonderful sites that San Antonio has to offer. 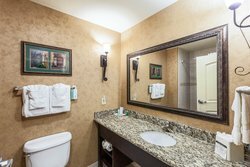 At the Comfort Suites Alamo/Riverwalk, we are dedicated to providing the best hospitality to you. Our Accessible Rooms accommodate those with disabilities and provides easy entry and shower rails. 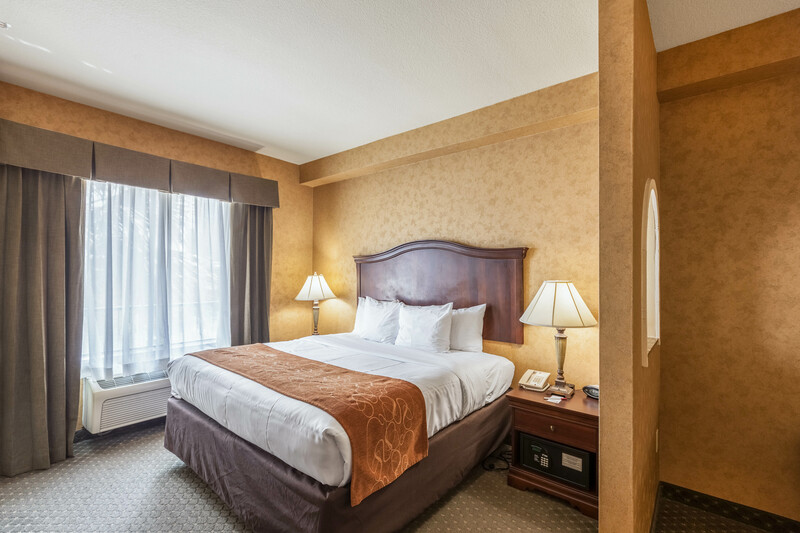 Relax in the pure comfort of the King Bed City View (Accessible). This suite is designed to let couples and business travelers truly enjoy themselves and to get any necessary work done in an unbelievably comfortable environment. Whether you're taking a break from the convention center or visiting all the wonderful sites that San Antonio has to offer, do it with a city view! 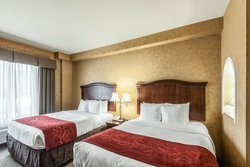 Stay with your family or friends in our 2 Queen Beds (Accessible). Designed to let families truly enjoy themselves comfortably, bask in all the wonderful sites that San Antonio has to offer.